Vermonter, gardener, and mom, Sarah Kaeck has been a longtime fan of organic farming and buying local produce. So it's only natural that when faced with the question of how to preserve half-eaten fruits and vegetables, she felt uneasy wrapping all that goodness up in something as environmentally un-friendly as plastic. 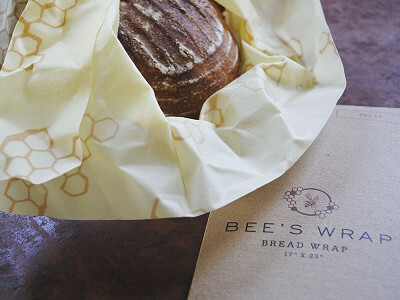 Sarah always loved the look and texture of muslin, old flour sacks and remnants of natural fabrics, so she combined them with beeswax, jojoba oil, and tree resin (all completely natural and local) to create Bee’s Wrap reusable, recyclable food storage sheets perfect for picnics, school lunches, and leftovers. The warmth of your hands molds the cloth to the item you are wrapping and as it cools, the cloth stiffens, preserving your bounty. 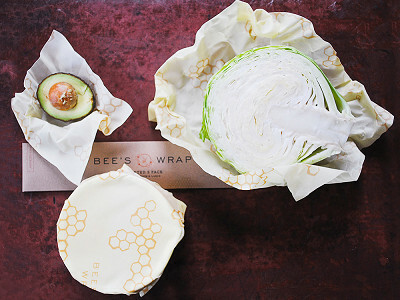 When the food is gone, Bee’s Wrap lives on thanks to beeswax and jojoba oil’s antibacterial qualities. Simply wash in cool water with a mild dish soap, air dry, fold, and store in a drawer. 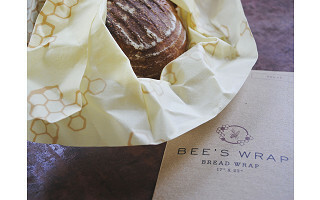 That hunk of cheese or half-eaten baguette will stay fresher, longer with Bee's Wrap and so will the environment.